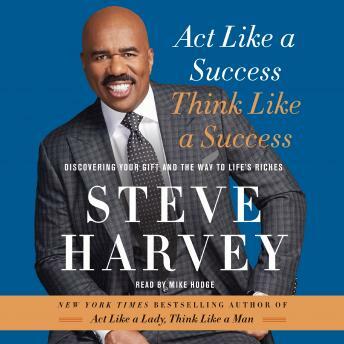 In his phenomenal #1 New York Times bestseller Act Like a Lady, Think Like a Man, Steve Harvey told women what it takes to succeed in love. Now, he tells everyone how to succeed in life, giving you the keys to fulfill your purpose. Awesome book...it's a great motivator. Thanks Steve Harvey!! There is great information and motivation in this book. This was an eye opener for me an help me Thank You I about to listen to it again. Things of common sense oh yes some people lack common sense,,,,just o.k. I guess I have heard from the best authors of how to become successful, which I am in a place of being successful with material things and spiritual riches which is the greatness of all blessings. Being able to give someone who is in need when going through illness or poverty. Great book, a lot of useful information and wonderful life experience used for examples. Very inspiring. It some getting use not hearing Steve Harvey, but the narrator was just wonderful to listen to.